Fashion industry businesses need to look no further! Crafted from our 30 PT black hard suede luxury stock, our Couleur template is the epidemy of refinement and beauty. 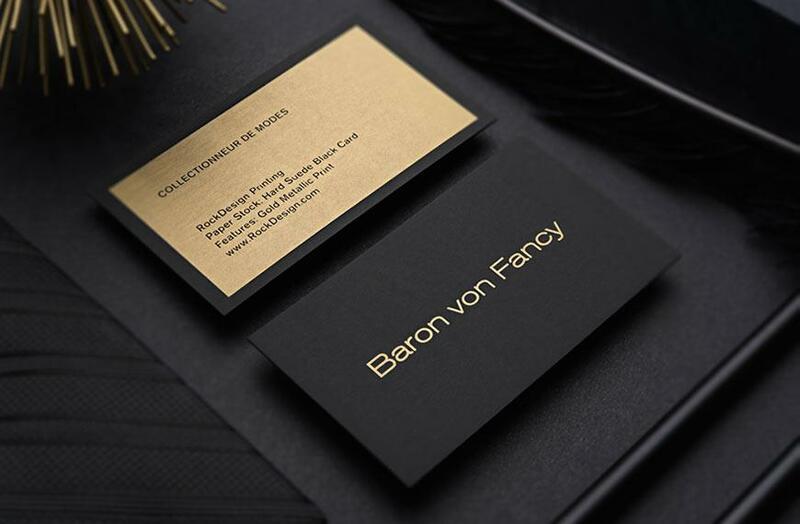 This professional business card template gives the powerful impression of elegance. Gold metallic ink creates a lustrous and understated metallic appearance. Blind debossing creates a subtle fabric-like pattern that is reminiscent of a high-priced textile. 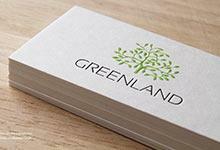 This template allows the user to not only showcase their logo on the front but also on the back of the card in a way that is certain to let your branding leave an impression. The tactical impression of leather provided by the hard suede stock further elevates this template to outstanding heights making this template a perfect fit for jewellery, makeup artists, or any other vendors in the fashion industry. 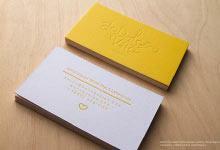 Order your Couleur business cards today to improve your company's first impression. Our unique hard suede cardstock has a luxurious texture that is similar to fine leather. This cardstock is 30pt thick and is highly dense making it ideal for foil stamping, metallic ink and white ink. Offered in black, white and custom red, our hard suede cardstock can be produced in any possible combination of these colours to suite your needs. This cardstock can be debossed and embossed however the result will be less dramatic due to the density of this cardstock. 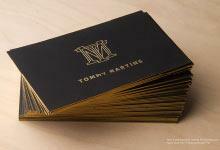 Our Hard suede Cardstock is the ideal way to set your business apart from the rest.